I'm joining Tootsie to flaunt my flowers this week. A few blooms are gracing the green gardens. 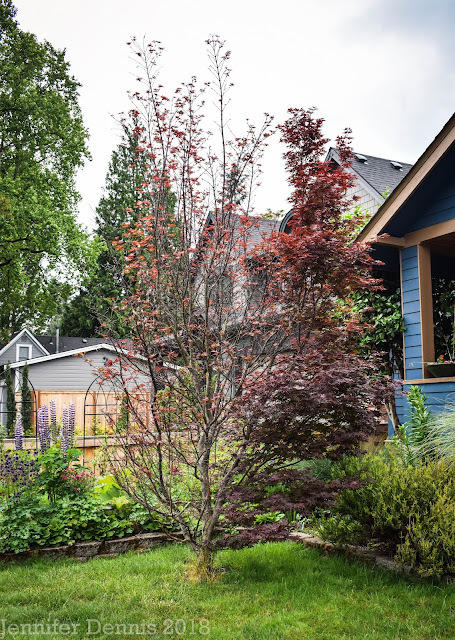 Spring is slow in the Pacific Northwest this year. We are three to four weeks behind a normal. The lilac's just started to bloom and the leaves on the cotton wood tree's are unfurling along the Columbia River. More Columbines are blooming around the shade garden. I have to include one more pretty shot of my new Rhododendron before it's bloomed out for the year. 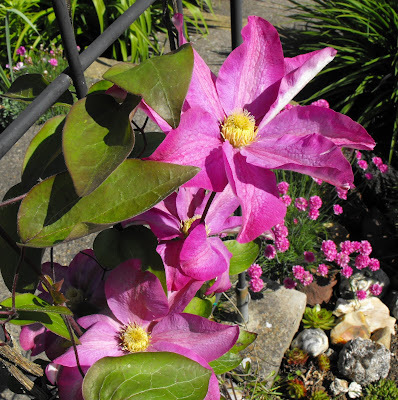 Lastly, here's a snippet of my pretty pink Clematis 'Pink Champagne'. Super sleuth garden blogging friend Grace figured out what type of Clematis this beauty was for me. While the sun was out for one day this week, I gobbled up some pics. Sadly, rain and cool, overcast sky's has been on the menu. Thinking of those that have been tragically affected in our country by the spree of tornadoes this past week. Swing over the Tootsie and see who else is flaunting their flowers on this fine Friday. These flowers are so, so pretty...and Grace is a great gardener isn't she? Got about the same blooming here and yes, waayyyyy behind this year! Everything is so very beautiful! I feel as if I want to reach out and touch that Aquilegia...gorgeous! Wow! That rhodie is knock your eye out gorgeous! The rest are pretty stunning too. 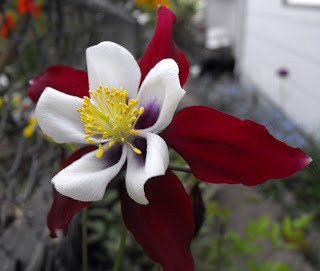 I am still waiting for most of my columbines to bloom. And I have that same clem Pink Champagne in my front bed, on a trellis. Haven't seen it bloom yet, I just planted it last fall. Thanks for all the yummy flower pics. Love your blossoms. Spring please come back. That Clematis is really pretty! 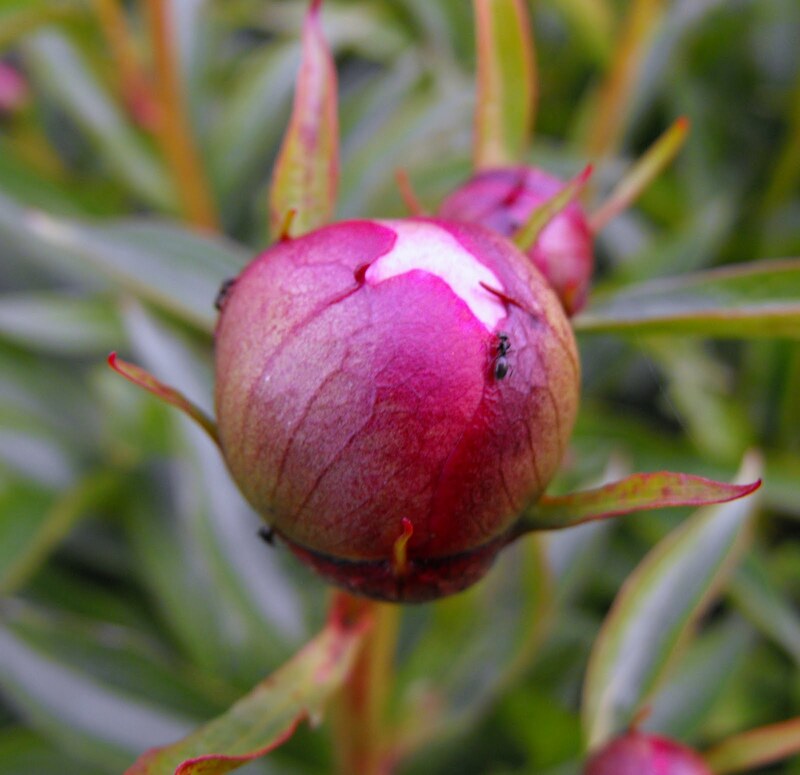 I have the Sorbet Peony and I've counted 7 flower buds on it :) I love the rhodie, such a pretty color. A chance of sun here on Sunday, hope we all see some soon. 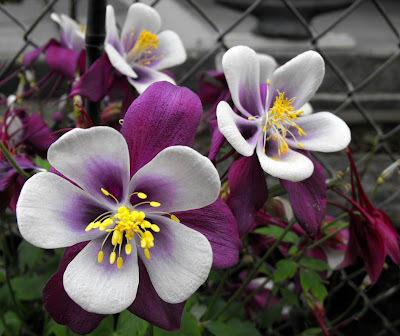 Your columbine are so beautiful! Love the fertilizer photos. Looks like the sun has come out and things are looking great. Thanks for sharing. I may have to get some more columbine now. In the UK we have had unusually dry conditions, and a lot more wind than normal. 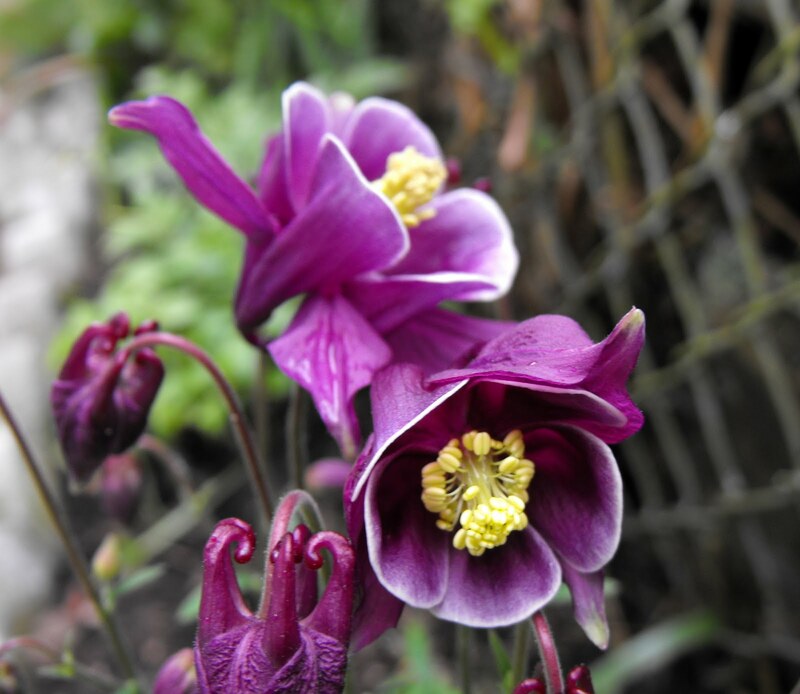 beautiful shots ... the aquilegia is something I will be looking for! 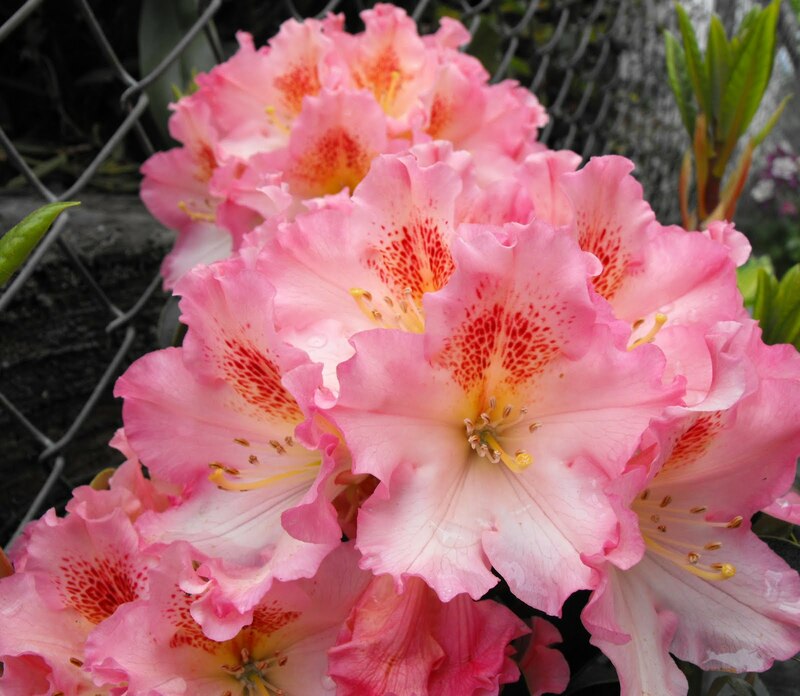 We're just beginning to see your rhodos - and you have roses! 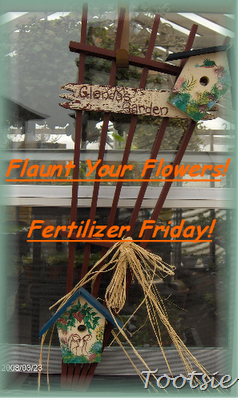 New public follower here from Tootsie Time’s Flower Flaunting Gardens Blog Hop. Nice blog. Beautiful photos. I would appreciate you following back http://talesfrommyjournal.blogspot.com I would also appreciate if you would like me in facebook http://www.facebook.com/DeniseMartin.LillaRose and in twitter @DeniseLillaRose. I always follow back. Just leave me a note so I know you stopped by. Thank you for visiting my blog and thank you for leading me here. Such Stunning flowers! The Coral Mist and the Swan White and Burgundy Aquilegia are absolutely breathtaking. Such pretty blooms. That clematis is a keeper, glad you got it identified! Enjoy what's left of spring . . .